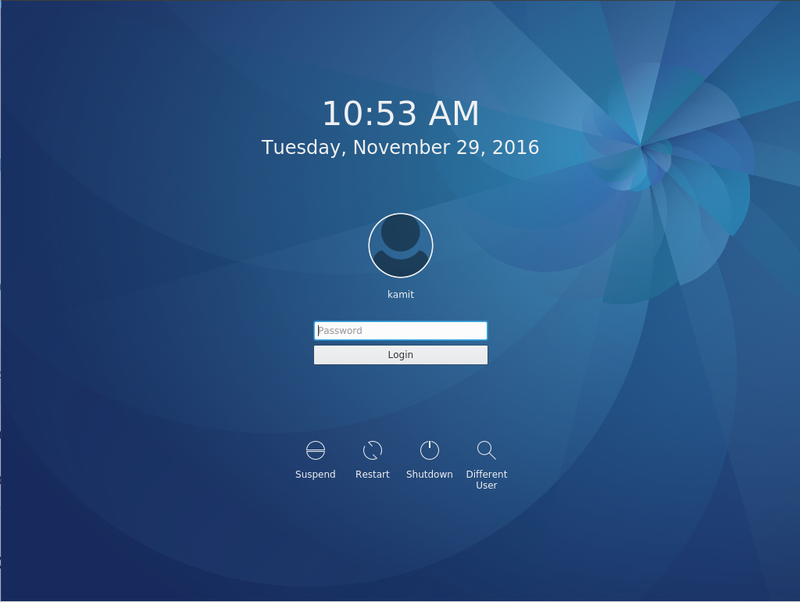 Fedora 15 LXDE is a Fedora 15 Spin, an alternate edition of Fedora, “tailored for various types of users via hand-picked application sets and other customizations.” Presently, seven Spins have been released. These are, in order of popularity about the time I hit the Publish button, the KDE, LXDE, Xfce, Security, Games, Electronic-Lab, and Design-Suite Spins. The Xfce Spin has already been reviewed here. This article presents a review of the LXDE spin, the first for it on this website. 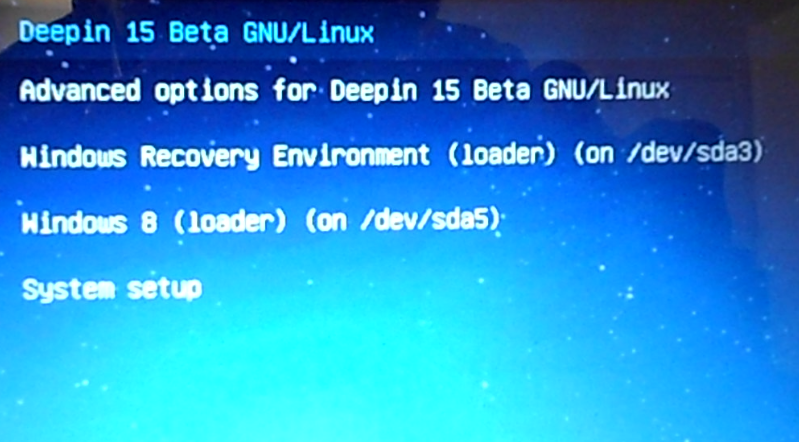 Installation Process: Like other Spins, Fedora 15 LXDE is available for download as a Live CD ISO image. Unlike the main (GNOME 3) edition, there is no DVD or bfo installation image for this edition or for any other Spin. However, attempting to boot from the local disk always generates the error shown here. 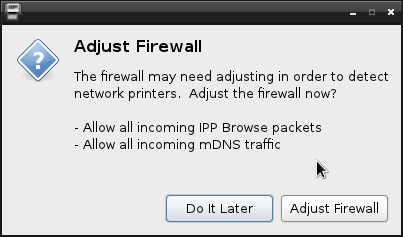 This happens not just with the LXDE Spin, but with all the Fedora releases, including the main edition. All the Fedora spins share the same installation program with the main edition. Anaconda 15.31 is the version of Anaconda, the Fedora system installer, that ships with this latest release. The changes I see in this version are just cosmetic. The available disk partitioning methods are the same. Disk encryption is supported (see how Fedora protects your computer with full disk encryption). 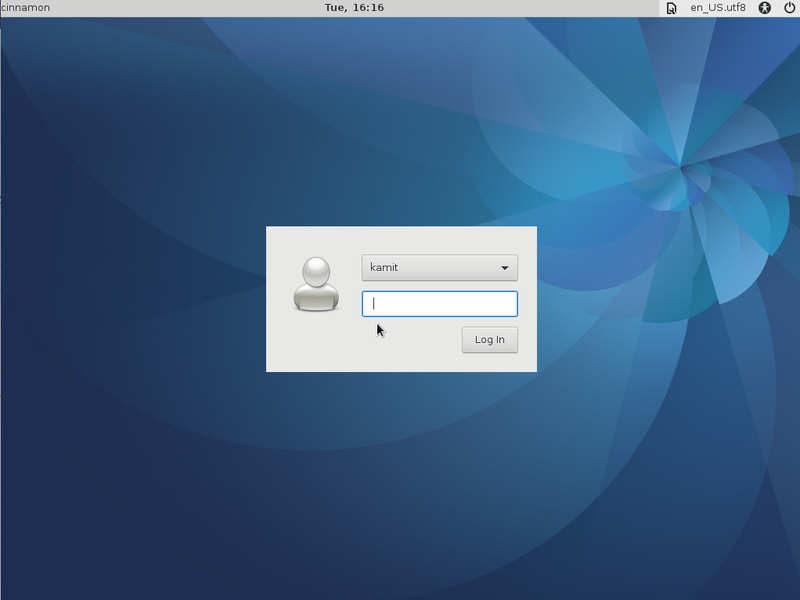 Installation of the Fedora 15 Spins, and of the Live CD version of the GNOME edition, is not installation in the traditional sense, but rather, a copying of the Live image to disk. So, what you see on the Live desktop is what you get after installation. 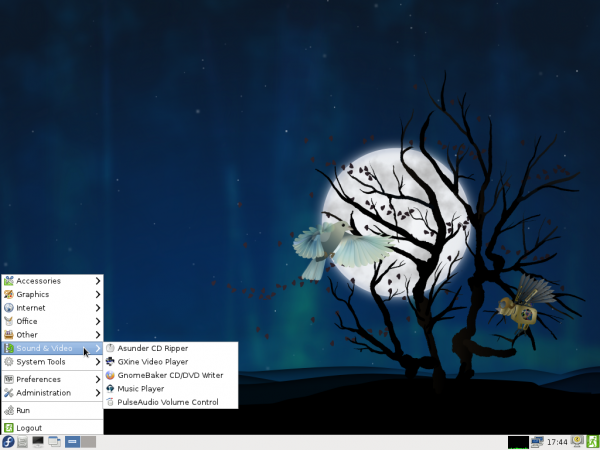 Desktop: The LXDE desktop is a very simple and highly configurable desktop environment. Memory footprint is small and CPU usage is minimal. A new installation of takes up less than 2 GB of disk space, far less than a new installation of other Spins. The menu features all the necessary application categories except the Games category. Like the Xfce Spin, there are no games installed. The file manager is PCManFM, named after the author’s online moniker. 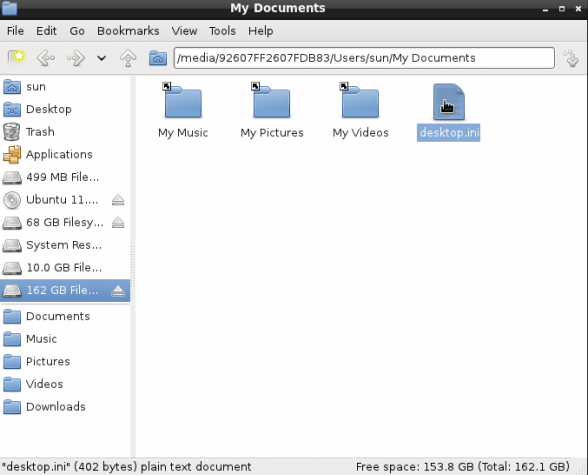 I find it a lot more fun to use than Thunar, the file manager on the GNOME and Xfce desktop environments. There is support for tabbed-browsing. Clicking on a folder opens it in place, rather than in a tab. Though not in this release, directory browsing on the side pane has been implemented, and should be available in a stable release soon. When dual-booting with other operating systems and distributions, you can mount and browse their partitions. Out of the box, you can even read and write to ntfs partitions, that is, you can access your Windows files and folders from the file manager. If you click on an image file in the file manager, the system will attempt to open it in GXine, the default media player, and even after changing the default behavior to open all image files in GPicView, the installed image viewer, the system would still attempt to open them in GXine. GPicView, by the way, is one of the best image viewers I have used. It has more features than the default image viewer on the Xfce spin. 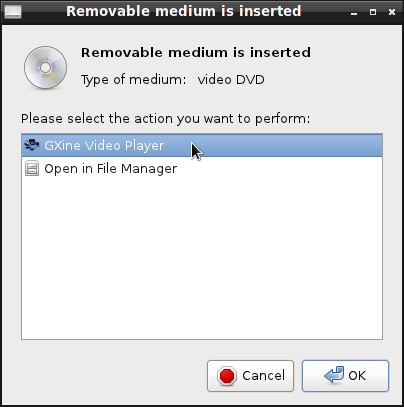 The system will popup this dialog window when a video DVD is Inserted. And this if it is an audio CD. The problem is that for some reason, the default application, GXine, is unable to play audio or video media, and the problem does not seem to lie with it because after installing Rhythmbox and Totem, I still could not play any audio or video media. There are, of course, many more applications that you can install using yum, the command line package utility, or Yum-Ex, the graphical package manager. Just work…. Last time i checked even with windows it dont just work. If you are too lazy to just add a repo and type a command then hell linux may not be for you..
Hell with windows do get most formats to work you have to download the codecs for anything or get vlc…. Linux is no different my friend. sorry that was ment for the arguement lower. 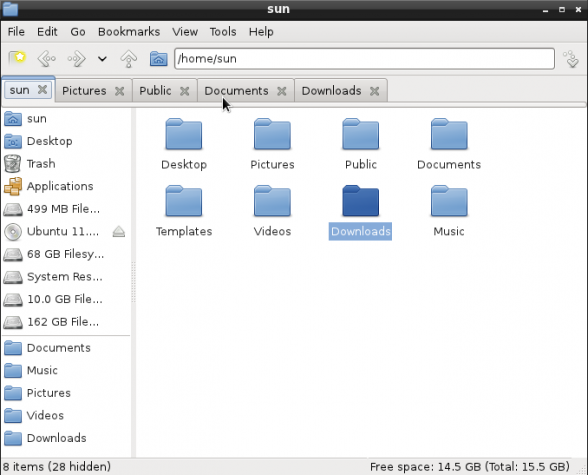 The default file manager for GNOME desktop is nautilus not Thunar. You are right. Mea culpa. Hey wait a minute everybody, the reasoning here is not sound, if you must have all the the codecs and other proprietary files out the box just get one of the many re-mixes out there. 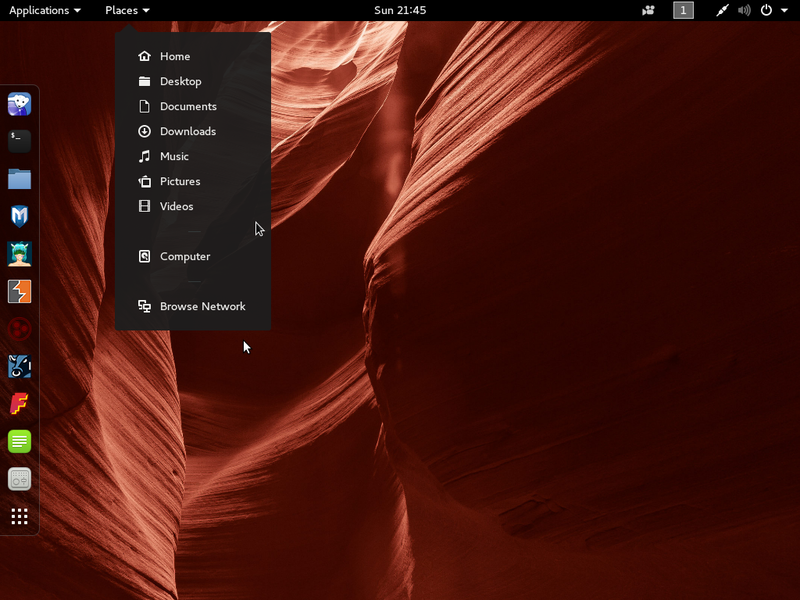 The best one I is Hanthana Linux based on Fedora 14. It’s excellent, does it all, and is readily available..
Thats why Fedore never will be a major Linux distribution at the top like for example Ubuntu or Linux Mint. It’s a distro for power users. Of course Fedora contribute a lot for for the Linux community and so on. But a ordinary user want a distribution that just works. Ubuntu not include all things to but those packages are easy for even a beginner to install like “Ubuntu restricted extras” and “Libdvd”. 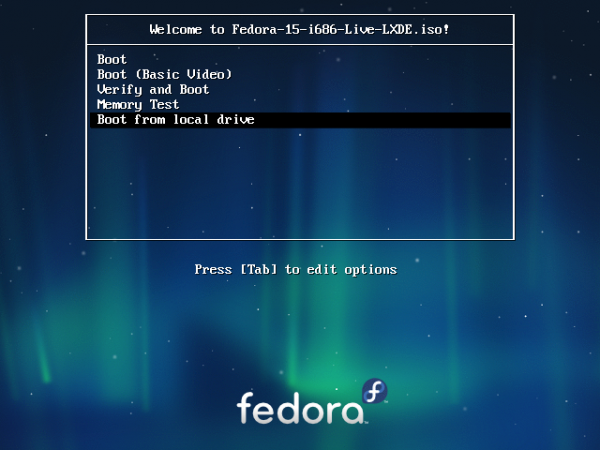 Fedora is actually one of major Linux distributions. Any operating system will require some settings despite working out of box should an application or format are missing. Teaching ordinary users how to maintain their own system should be essential. It depend how much time you want to do the settings and how easy it is. Ubuntu have a good balance in that aspect. If it’s to complicated users just chose another distribution. For a Linux power user maybe thats not a problem, but for a ordinary user it is. And there are actually system that works “out of the box” to like Linux Mint, PCLinuxOS or Pardus for example. Once those ordinary users got taught about the setup and installation of additional software, they will find not harder to use. Even non-Linux bases systems require extra step to fully “work of box”. Remember a system like Fedora had to abide to laws for some patented software. I think a good education about operating system will be very useful for those ordinary users. Though I have to disagree with your comment about CDs below: most CDs that I know of are still sold with a generic specification that shouldn’t run into patent boundaries or anything – CDs have always worked right out of the box for me, on any distro, not just Fedora 15. In fact it worked fine on a fresh install of 13; I have a feeling there’s been a config problem in the installation in this article. If there was a config problem, it came right out of the box. One thing I did not mention is that I am able to play audio CDs on Fedora GNOME edition, and the Xfce edition. You are right, DxSepley. Wav is the generic format for Audio CD. You missed the point. I shouldn’t need to configure it. It should just work. But what has software patents got to do with being able to play an audio CD or an encryption-free video DVD. You can play those types of media out of the box on the main edition. Majority of encrytion-free video DVD uses vob (video object) format based from mpeg streaming format, most audio CD uses either mp3, wma or acc; for those reasons, those format cannot be included in Fedora release due to its free and open source philosophy hence rpmfusion for the rescue (you can the repository on DVD version of Fedora during installation as long you have online access). Only webv, theora, vorbis, flac and other free and open source media format can be played out of box.